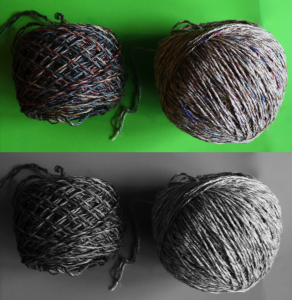 After ripping out the remainder of the work I had completed on the back of the Tilt Cardigan, I started with modifying the color of the darker yarn. The additional difference in contrast is minimal. So, I’m hopeful it will be enough to make the patterning just a bit more visible. Next step was to convert this pattern to be knit in-the-round instead of flat. As I was calculating the total stitches to cast on for the ribbed hem at the bottom, I realized that the back section has 18 rows of ribbing and the front has over 50 rows. The original pattern extends the ribbing up to the pockets on the two front pieces. 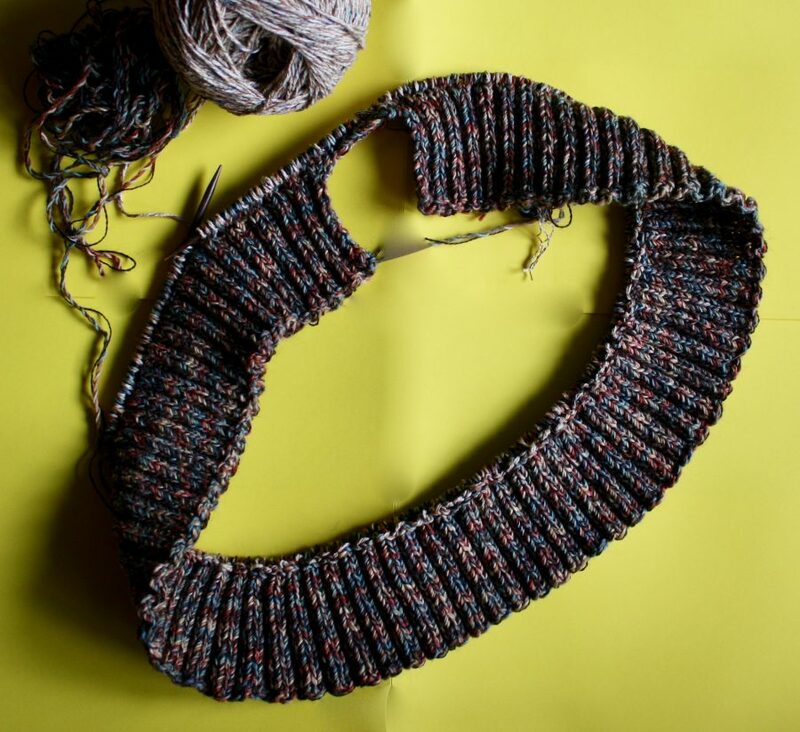 Even if I wasn’t redesigning this pattern to knit it in-the-round, i would still have modified that piece. You couldn’t tell that had uneven ribbing on the front and back from the initial photo. I only confirmed it when I looked at other Ravelry photos of the project (see the first blog photo above). 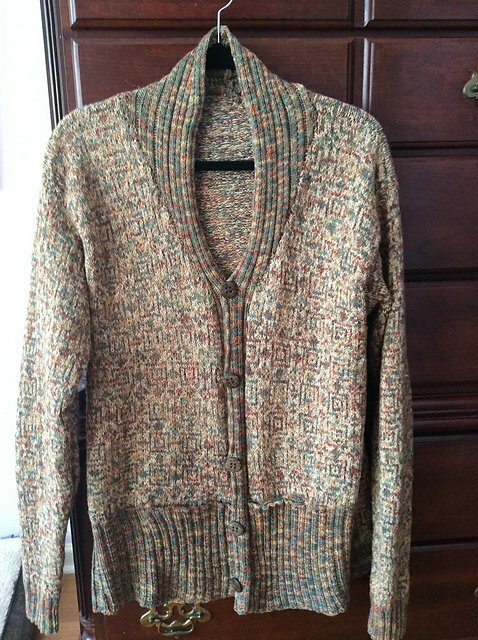 This cardigan will have pockets, but in a more conventional way. I’ve completed the ribbing and just barely started working in the round. I worked the ribbing flat since it’s all one color. You can see the steek stitches that I added to start knitting in-the-round. 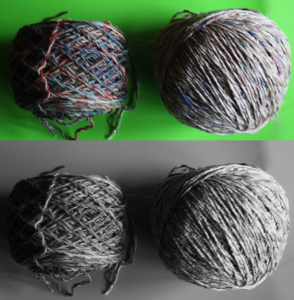 It’s not enough to discern whether I think there is now enough contrast between the two yarns. I’ll let you know in the next blog entry. Thanks for sharing the Mary-Helen process for figuring out the contrast!